Rosatom, Russia’s nuclear agency, confirms scientists are testing 10th generation centrifuges. No other country even possesses 9th gen tech, putting Rosatom years ahead of the competition. “We’re on to 10 Gen,” announced Aleksandr Belousov, general director of Urals Integrated Electrochemical Plant (UIEP), a Rosatom subsidiary in Novouralsk, Sverdlovsk Region, in the Urals. “Scientists and engineers are solving technical issues, which is quite difficult. Any kind of new research and technological development is a venture undertaking, you can either succeed or fail... Any new machinery must be economically efficient. [10Gen] is being developed out of economic expediency, not for mere modernization. The more energy-intensive the machinery is, the more technical problems emerge,” Belousov said. A gas centrifuge uses principles of centrifugal force to perform radioisotope separation of gases, by accelerating molecules to such an extent that particles of different masses are physically separated within a rotating container. The centrifugal separation of isotopes is used for various purposes. 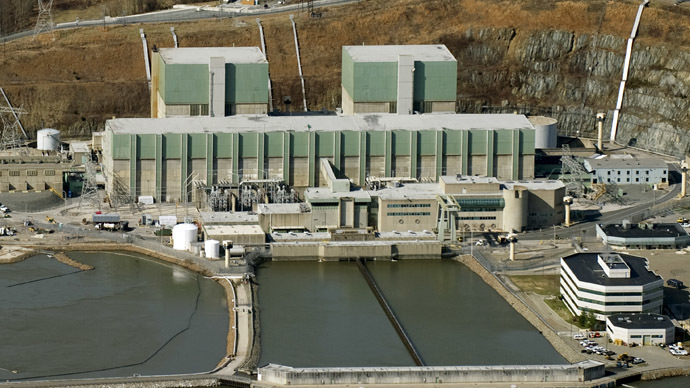 First of all for production of low-enriched (up to 3-4 percent) uranium to be used as fuel at nuclear power plants. It also is used to produce weapons-grade, highly-enriched uranium (90 percent of U-235). Centrifuges are also needed to produce radioisotopes for medicine and various technical issues. Centrifuges are operated in cascades of hundreds and thousands units. Manufacturer supplies centrifuges in assemblies of 20 units in two rows, and at the factory they are placed on the columns in tiers, one above the other. Last week the second cascade unit of 9 Gen gas centrifuges has become operable at the UIEP, with the first 9 Gen unit introduced in late December 2013. Having two 9 Gen centrifuge cascades means that UIEP is the leader in the industry, making up to 48 percent of Russian radioisotope market and 20 percent of the global market, RIA Novosti reports. The 9 Gen centrifuges are four times more productive than 8 Gen centrifuges, which means a similar productivity pace should be applied to 10 Gen units, Belousov said. 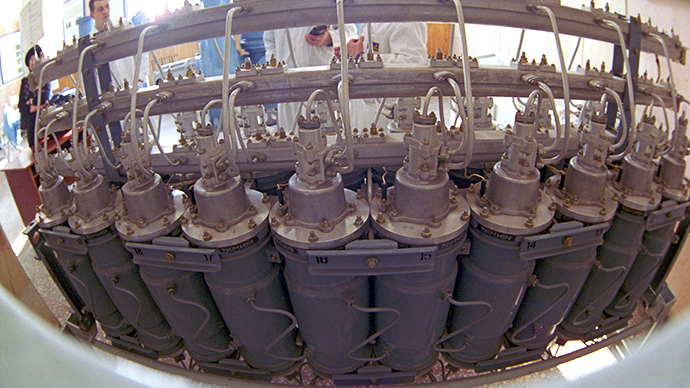 Development of nuclear enrichment centrifuges in the Soviet Union began in 1952. Over the time general dimensions of the machinery changed a little yet the productivity has augmented by 14 times, whereas operating costs have diminished by at least 10 times, aide to the UIEP head, Gennady Solovyov, said. The modern Russian centrifuge is a state-of-the-art component made of composite materials and special aluminum alloy. Its rotor spins with unbelievable speed of 1,000 rotations per second and can do it without a single stop for 30 years. Mechanical malfunctions are extremely rare, no more than 0.1 percent (one failure per 1,000 units) per year. Russia’s TVEL Fuel Company (TENEX for operations abroad) is the largest operator of nuclear enrichment centrifuges and absolute leader of world’s radioisotope market, possessing about 30,000 separative work units (SWU), which is almost half of the world’s total 65,000 SWUs. Russian centrifuges are also the most advanced and have higher output capacity than SWUs from rival companies in France, US or Japan. Starting from 2009 Russia is supplying 7 and 8 Gen centrifuges to China. The second-largest operator of uranium enrichment centrifuges after Rosatom is URENCO, a joint German, Dutch and UK enterprise operating 14,200 SWUs. Rosatom is heavily investing in nuclear enrichment at the UIEP. In 2014, the corporation allocated 7.5 billion rubles (nearly $150 million), whereas for 2015-2019 Rosatom plans to spend on the UIEP no less than 34 billion rubles (about $667 million).